So we got more rain last night, an inch! Yay but I think we are probably good for a while now and we are in for more for the foreseeable future. 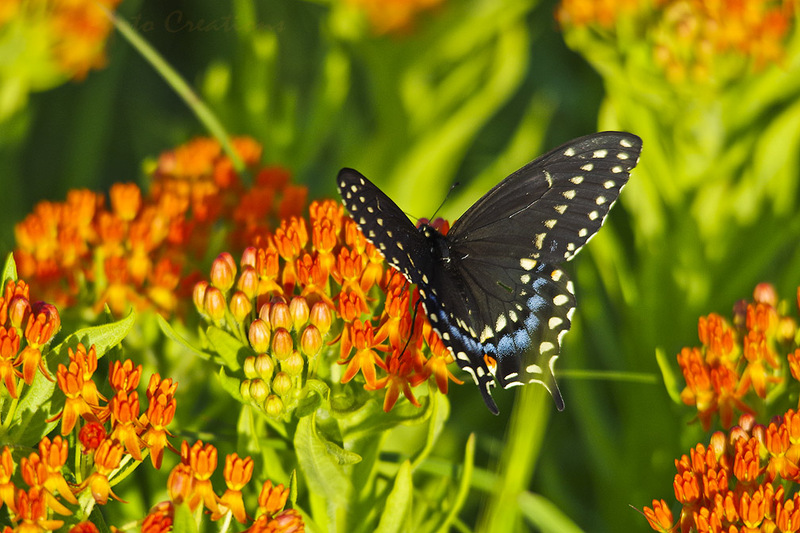 I wanted something bright today so I am sharing a female Black Swallowtail that i captured on the Butterfly Milkweed, the plant i mentioned in yesterday's photo. This image was taken in that area. I was happy to get good images of this butterfly because she was moving around quite a bit and really fluttering her wings. The Black Swallowtail is supposed to be the most numerous in Kansas but I see more of the Tiger type so I found that interesting.